A consortium of Medical, Engineering and Dental Colleges of Karnataka conducts the COMEDK entrance test. COMEDK is an online state level entrance test, through which candidates can get admission in various undergraduate courses in engineering. Earlier, it was for medical courses too but now it is only valid for engineering courses. COMEDK Counselling is organized for Engineering, Medical & Dental aspirants. As to enroll in any medical/engineering/dental college of the state, COMEDK counseling is important. COMEDK exam is held in May and application forms are generally available from February. Around 180 colleges accept COMEDK scores in Karnataka with a total seat intake of more than 20000. Many top colleges of the state offer admissions based on COMEDK scores. COMEDK results are uploaded on the official website by last week of May. For qualifying COMEDK exam, you have to score minimum cut off score in each subject. Based on this score COMEDK Ranks are assigned to students. Colleges release information regarding their individual rank range for seeking admission. If you are desirous of appearing in COMEDK, you have to fill the application form on the official website. After successful submission, you may download the admit card and appear in the exam on the mentioned date. COMEDK Result is declared afterwards, and after getting your Scores and Rank, you will start appearing in the counseling process as per your rank. COMEDK result is generally announced in two phases. The first phase reveals the actual score of candidate in the exam whereas the second phase reveals candidate’s rank. 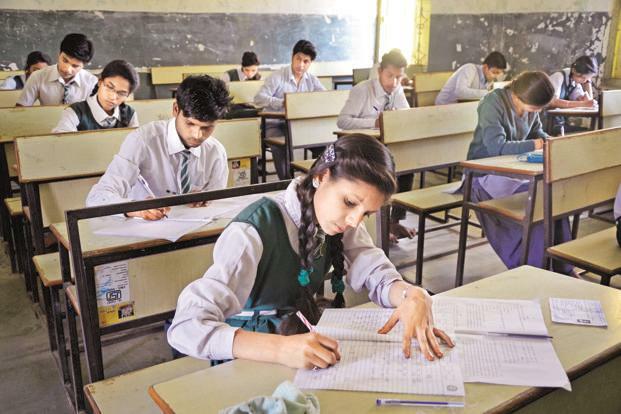 First phase results are generally published in the last week of May while second phase results are announced a bit later. COMEDK also releases the answer key before the results. All these details can be accessed on the official website of COMEDK. The counseling process of COMEDK starts after the results are announced. In the counseling process, you have to register yourself for the counseling and have to get your documents verified at the place and time provided to you. After this, you can fill your preferred choice of colleges, according to the rank. Seat allotment rounds will be carried on afterward. As mentioned earlier, COMEDK’s results are released in the form of rank and score. But many of you do not know that why results are declared in both forms? As we talked earlier, COMEDK is 3-hour test which includes 180 questions. Each question carries one mark. Your score is the actual number of your right answers given by you. As there is no negative marking. Your COMEDK score is very important as it becomes the basis of your COMEDK Rank. Rank specifies your performance with regards to other applicants. If you have performed better than other candidates, then your rank will be high and vice versa. The importance of Rank is that it becomes the actual basis of the admission process. Colleges allot their seats for admission based on the COMEDK Rank. Scores can vary from year to year as per the difficulty level; therefore, a raw score generally does not serve the purpose of being the actual measure of candidate’s performance. On the other hand, a rank gives a proper judgment of your performance as it is a proper comparison of performance. How to predict your COMEDK Rank? After appearing in COMEDK examination, many candidates are anxious about knowing that what their rank could be. First of all, you will need to reach the COMEDK Rank Predictor Tool designed by COMEDK. Link for this tool is – https://exams.collegedunia.com/comedk-uget/rank-predictor. After this, you will need to enter the details as asked by the tool. Some mandatory details are – Name, Contact Number, Email Address, Expected Sectional Scores, Category and the branch you are referring. After entering all the details, you can check your result. To see the result, click on ‘See Result’ button. Then your predicted rank will be displayed on the page. Along with the rank, the list of colleges which you can apply with this rank will also be displayed. You can check the details of all these colleges on our website and hence plan your admissions. Along with all the information provided above, you must also know the top colleges which accept COMEDK scores. No Comments on "COMEDK Marks vs Rank – A Comparison of COMEDK Result and the Rank You Get"